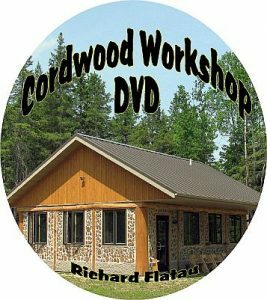 Hello and welcome to Cordwood Constructions blog about, what else, cordwood. 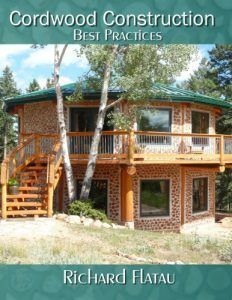 My goal in writing this blog is to make available to the public a “best practices” approach to cordwood construction. 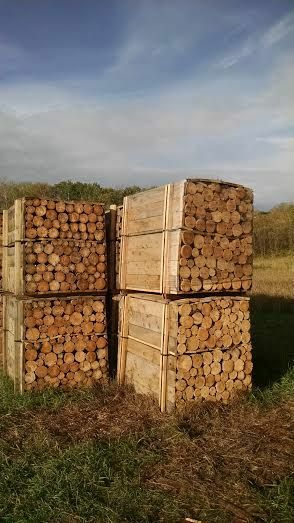 Having labored in the cordwood fields for 32 years and having helped hundreds of kindred souls build their “dreams” I am well qualified to offer experiential advice on cordwood construction. To start, here are a few examples of excellence in the cordwood realm. 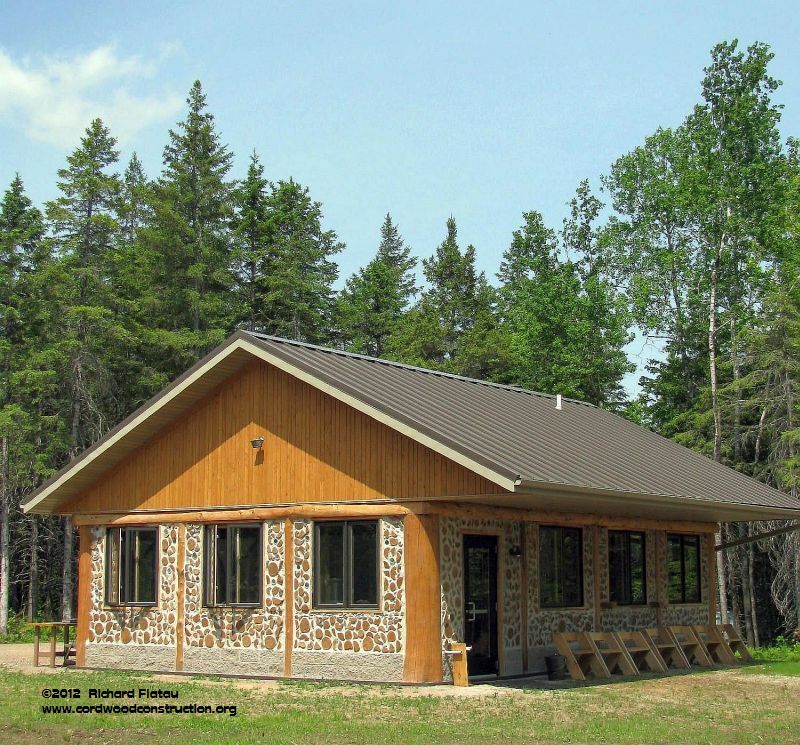 The Cordwood Education Center is a 900 sq. ft. classroom which we built for our local school system. It is situated on 764 acres of donated forest. My goal is to add pictures and descriptions and best practices as time goes by. Please feel free to contact me if any of these things interest you. 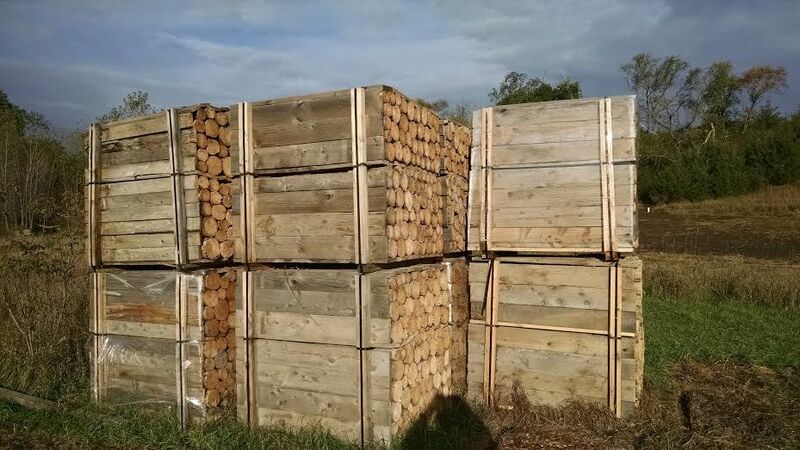 Zoub from France asked the readers if they had comments on this idea for a cordwood wall. Zoub’s idea is to stagger the log ends, so one is mortared over and that one shows on the inside wall. 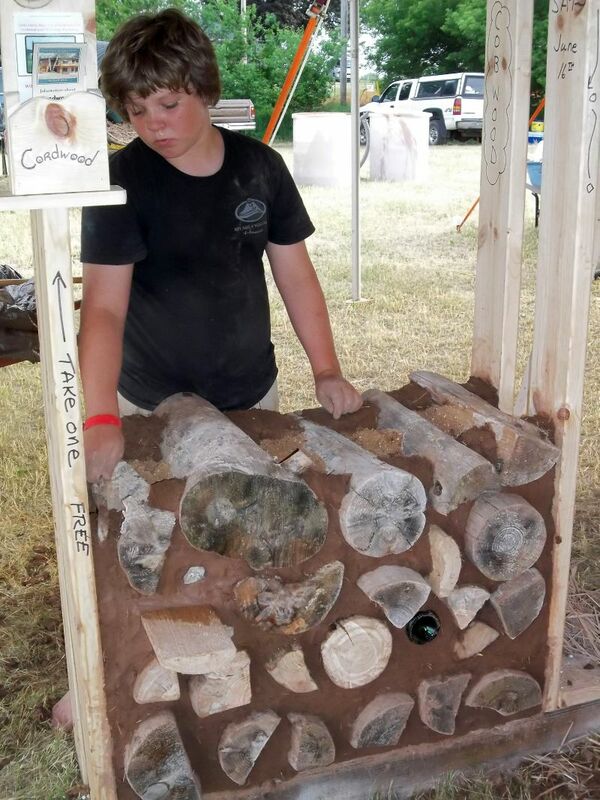 An 11 year old volunteer tuck points the cob mortar on this cobwood demo at the MREA in Custer, WI. June 2012. 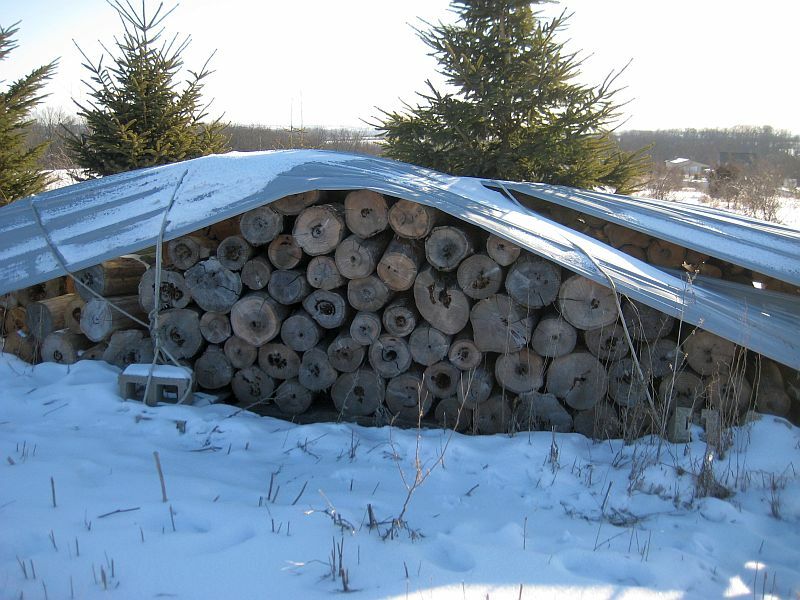 I am using my first post to add photos for posting on cordwood websites. 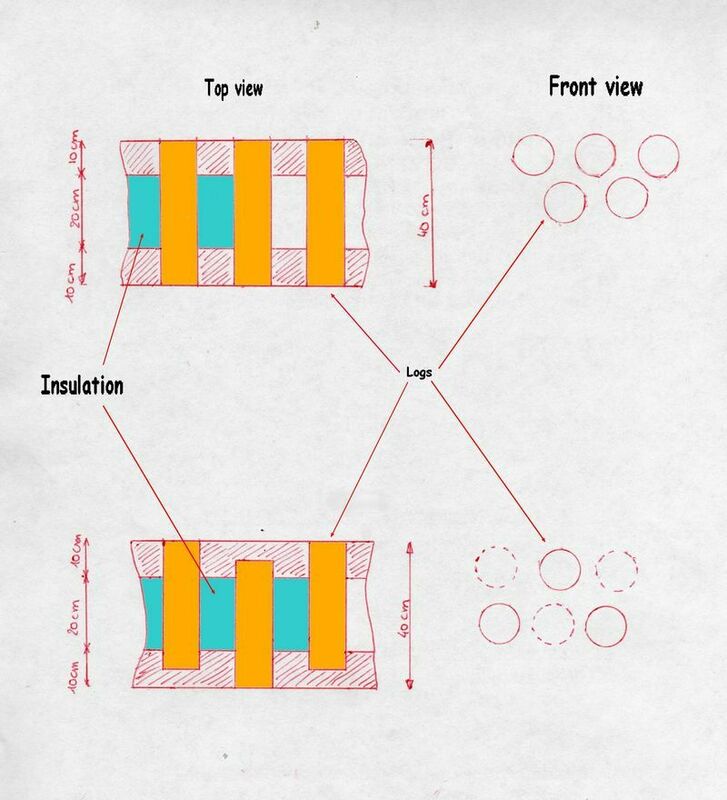 This photo is a diagram of one way to do cordwood on a basement. 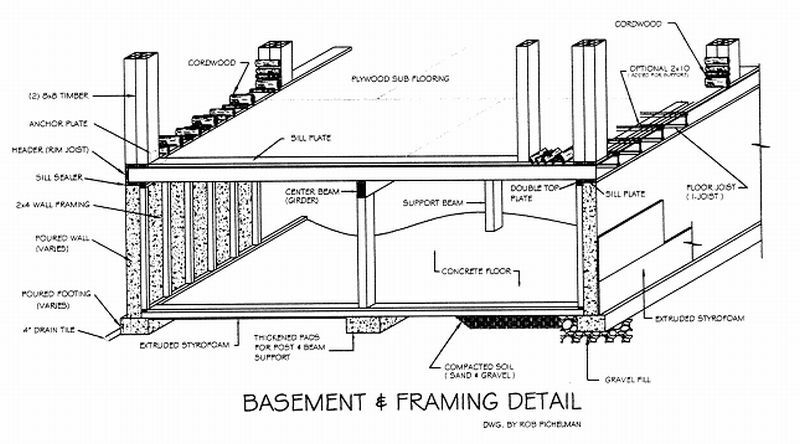 One way to do cordwood on a basement.